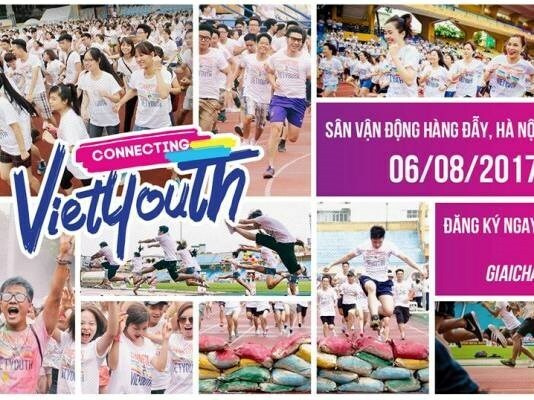 Hanoi (VNA) – Various activities as part of the Connecting Viet Youth 2017 programme will take place in Hanoi from August 6-9. The event will be hosted by the Ho Chi Minh Communist Youth Union chapter of the Hanoi municipal Students Association, the World Economic Forum’s Global Shapers Community – Hanoi Hub, the Vietnamese Student Association in the UK, the Volunteer for Education Organisation and Vietnamese students’ associations in the US, Australia, France, the Republic of Korea, Hungary and Singapore. Opening the event will be a charity run at Hang Day stadium with more than 300 young people taking part, a music show with DJs and singers and a flash mob. A charity programme, including blood donation, music performances and gift-giving to more than 300 child patients being treated at the National Institute of Hematology and Blood Transfusion, will be launched on August 7. The forum “Creativity in industrial era 4.0”, scheduled for August 9, will be attended by Bitexco Chairman Vu Quang Hoi, US Ambassador to Vietnam Ted Osius, 50 leading start-ups in tech and 1,000 Vietnamese young intellectuals working and studying abroad.